Office of the Special Judge, CBI. Assam. 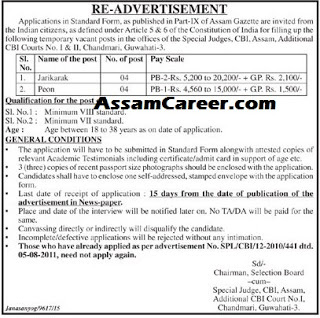 Applications in standard form are invited for filling up the following temporary vacant post in the Office of the Special Judge, CBI, Assam. Additional CBI Courts No.I & II, Chandmari. Guwahati-3. Educational Qualification: Class VII passed.